Mild Steel female hexagonal nut (blind) bonding fastener. 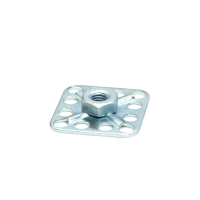 This section of our catalogue is for Zinc plated Mild Steel hexagonal nut bonding fasteners (blind, meaning that they have no central thru-hole in the base plate). 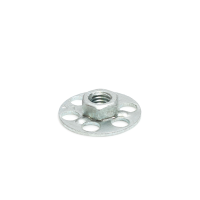 Many different versions of this style of fixing are available, with options including nut diameter, base plate size and shape and can be viewed by browsing the products within this category.